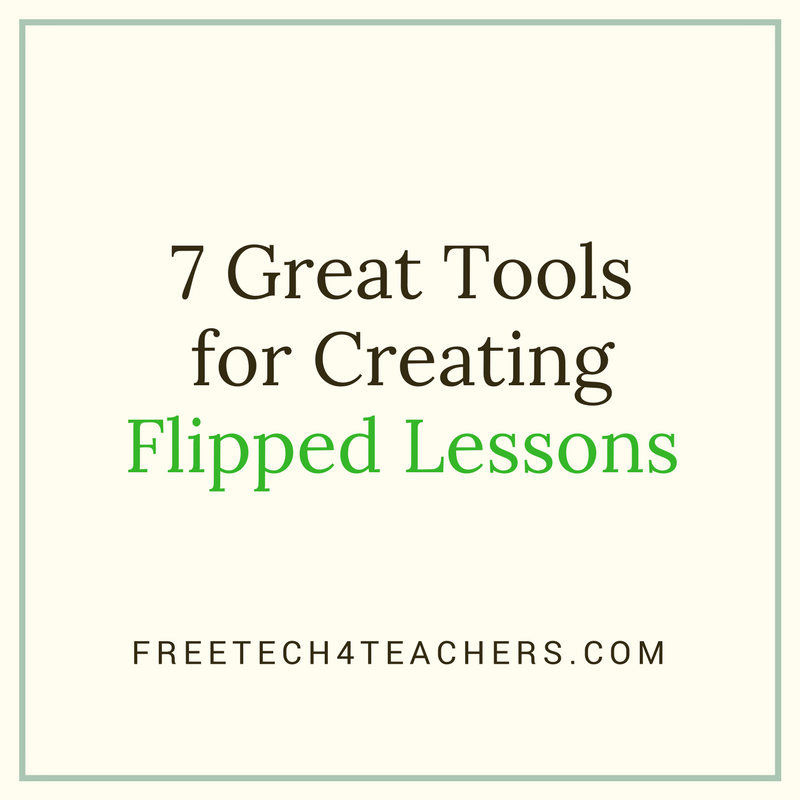 When they are used in the right context flipped lessons can be a good complement to classroom instruction. Not everyone has the time or skill to make effective instructional videos for their students. In those cases you can take advantage of the millions of hours of instructional videos found on YouTube and other video sharing sites. But don't just have your students watch the videos then come back to your classroom. Have them answer some specific questions that you build into the instructional videos that you find online then share with your students. EDPuzzle is a popular tool for adding your voice and text questions to educational videos. On EDpuzzle you can search for educational videos and or upload your own videos to use as the basis of your lesson. EDpuzzle has an online classroom component that you can use to assign videos to students and track their progress through your video lessons. Within EDPuzzle's editor you can select portions of videos for students to watch. EDPuzzle offers the option to share your videos to Google Classroom. In the videos embedded below I demonstrate how to use the main features of EDPuzzle. PlayPosit (formerly known as eduCanon) is an excellent service for creating, assigning, and tracking your students' progress on flipped lessons. 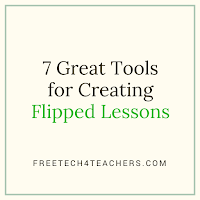 PlayPosit allows you to build flipped lessons using YouTube and Vimeo videos, create questions about the videos, then assign lessons to their students. Once you have found a video through PlayPosit you can add questions to it at any point along its timeline. Students need to answer your questions before they move on to the next portion of your chosen video. You can track your students' progress within PlayPosit's classroom environment. Using VideoANT anyone can add annotations to any publicly accessible YouTube video. To do this copy the URL of a video and paste it into the VideoANT annotation tool. Then as the video plays click the "add annotation" button when you want to add an annotation. To have others annotate the video with you, send them the VideoANT link. You are the only person that has to have a VideoANT account. Your collaborators do not need to have a VideoANT account to participate in the annotation process with you. Nathan Hall wrote a complete run-down of all of the features of VideoANT. He also posted a how-to video. I recommend reading his post and watching his video here. Vizia lets you build multiple choice questions into any YouTube video. The responses that you gather appear in either a Google Sheet or a CSV file to download. If you use the Google Sheet option you can then use Flubaroo to grade your students' responses to the quiz. In the video embedded below I provide a demonstration of how to use Vizia.